Through the years I’ve tried Saucony shoes. A pair here, a pair there, but I never found them to run as well as most of the other shoes in the rotation. Saucony has hit a home run with their Saucony ProGrid Kinvara. This shoe is Saucony’s answer to the minimalist fad that is vogue now. I picked up a pair of these on a whim in early December. This shoe has a low heel, minimal drop and a wide base in the forefoot. 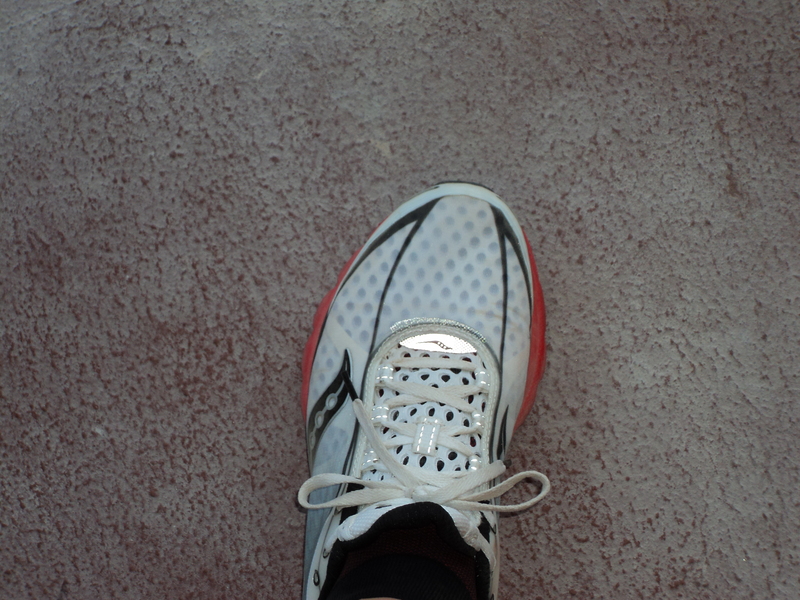 I was a little concerned that the wide base would constantly clip my legs when running. I can not recall a single incident of this happening which continues to be a pleasant surprise. My first run was a 7.6 mile jaunt or just under 55 minutes of running. About 5 miles into that run, my legs were wishing the run was over. I could feel the added stress that the lower heel induced. Other then that first run, I found no other runs were needed to adapt to the difference between these shoes and any other shoe I have reviewed. Before you rush out to buy a pair of these shoes, you should carefully think about how you run and why you want to run in these shoes. They will not be a shoe for every runner, nor should every runner adopt the minimalist approach to running shoes. Most of my running is on groomed trails that are free of rocks, thorns or sketchy footing. Saucony has many other shoes that I strongly suspect would be a better shoe to run in on rugged, technical trails. My physician with whom I run with now and then has run these on some trails and said they seemed to do well. I still think there are better shoes out there for rocky trails. This shoe feels good when you put it on. I find it a bit narrow across the ball of my foot but rather accommodating for those of us with high volume feet. Unlike some other brands, the shoelaces are plenty long on this shoe. The Kinvarva has an aggressive lug pattern on the sole, has a lower ankle notch, less material on the sides then most other shoes and runs quite well. 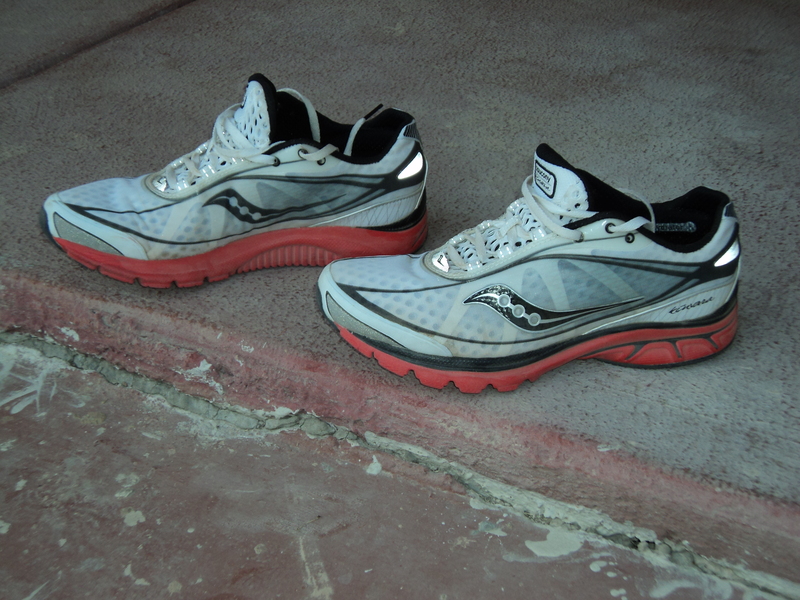 Saucony claims 7.7 ounces, but I think it runs like a shoe that is heavier. 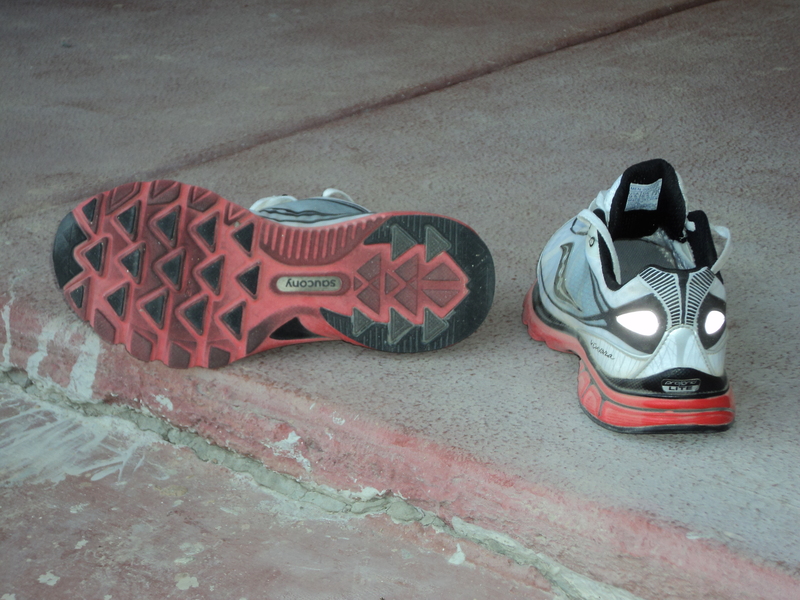 The previous pair of shoes I reviewed weigh 2.3 ounces more but run faster then this shoe. The Saucony Kinvarva’s currently are one of the top three pair of running shoes in the rotation handling more then their fair share of the weekly running. It’s not a matter of if I will get another pair of Saucony Kinvarva’s but which of the seven colors will I get.